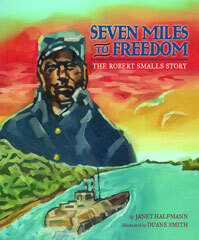 In late 1861 freedom suddenly grew closer for Robert and Hannah. The Union navy captured Fort Royal, just down the coast from Charleston. A Union fleet set up a blockade at the entrance to Charleston Harbor. Looking thorough the captain’s field glasses, Robert could see the northern ships. The Union lines and freedom were within reach—only seven miles away. 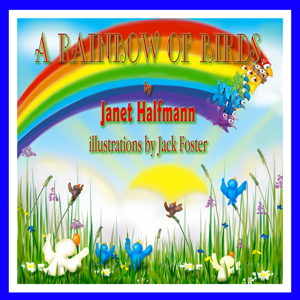 Janet Halfmann is an award-winning children’s author who strives to make her books come alive for young readers and listeners. 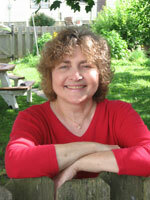 She has written more than thirty fiction and nonfiction books. 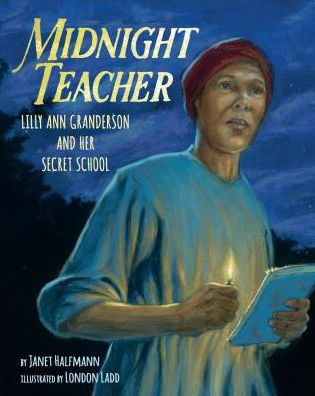 Before becoming a children’s author, Janet was a daily newspaper reporter, children’s magazine editor, and a creator of coloring and activity books for Golden Books. She is the mother of four and the grandmother of four. When Janet isn’t writing, she enjoys gardening, exploring nature, visiting living history museums, and spending time with her family. She grew up on a farm in Michigan and now lives in South Milwaukee, WI. A sweet and creative bedtime story is what you’ll find in Good Night, Little Sea Otter. It is bedtime for Little Sea Otter, but first he must say goodnight to all his sea friends. One by one they reply, and snuggled in his mother’s arms, Little Sea Otter drifts off to sleep. I love bedtime stories. My girls are beyond most of them, but I still like to read them. So, when author Janet Halfmann asked if I would be interested in reading Good Night, Little Sea Otter, I jumped at the chance. In a unique way, Halfmann helps your little one settle down for sleep. The artwork provided by Wish Williams is outstanding. 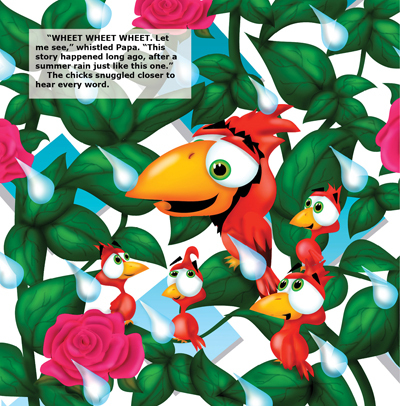 You feel like you could reach out and touch these creatures as you read along. You can almost hear the movement of the sea. 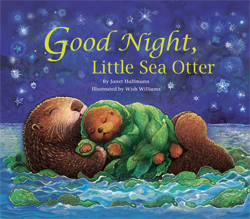 I highly recommend Good Night, Little Sea Otter by Janet Halfmann to anyone looking for the perfect bedtime story. At $5.95, you definitely can’t go wrong. In this imaginative new book by Janet Halfmann, Sophia is awakened by the howling winds. Her mother suggests they count animals. Soon Sophia is fast asleep, dreaming of a howling wind that blows all the animals out of their coats. Sophia offers the animals her clothes, but they aren’t very comfortable for her new friends. Then Sophia pulls out her grandma’s sewing box to see what she can find to make the “right coat” for each animal. 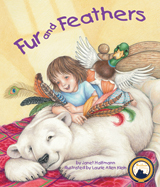 Fur and Feathers is a delightful story from the award-winning team of Janet Halfmann and Laurie Allen Klein. Halfmann’s unique and engaging story is perfectly complemented by Klein’s stunning and beautiful artwork. Young readers will be captivated by this tale of a young girl who helps out her furry and feathered friends. This book takes the idea of counting sheep to an all new and fun level. If you visit Halfmann’s website, she will share the inspiration behind Fur and Feathers. You can view the video trailer below. An educational section at the back of the book can be used to teach youngsters about different animals and their skin coverings. I’ll definitely be on the lookout for more books by Janet Halfmann!